Rent a private jet or turbo-prop and arrange your flight to Detroit, the largest city in the state of Michigan. The city of Detroit is nicknamed “Motor City” for it’s automotive heritage, and while it’s hard to argue against a ’57 Chevy, we still think the best way to get to/from Detroit “Motor City” is in a luxury private jet. When using our private aviation service, you can expect quick response times and an easy, hassle-free booking process. Our jet charter brokers can arrange everything from multi-leg private flights with in-flight catering to luxury ground transportation and private helicopter lifts. Offering the highest standards in executive and leisure travel, Air Charter Advisors offers on-demand private jet charter Detroit to/from any destination in the world. Our private jet company is Wyvern-certified, using the latest reports dealing aircraft maintenance and pilot history to help find the right aircraft for you. With access to thousands of private planes based domestically and internationally, we will connect you to the right aircraft at the right cost. All of the private aircraft we use for flights to Detroit are operated by FAR Part 135 or 121 (or foreign equivalent) air carriers, flown by veteran pilots with a wealth of experience in the aircraft model you’re chartering. Enjoy the comfort, convenience and peace of mind you get from working with a company you can trust, and Air Charter Advisors will become your local and global solution for luxury air travel, aircraft acquisition and private jet management. Call or request a quote for your flight to Detroit, Michigan. After you’ve booked your flight, our team can arrange in-flight catering, luxury ground transportation, helicopter lifts and any other requests you may have – consider Detroit Jet Charter your one-stop shop for all things private aviation in Michigan. Rent a jet and skip the long lines and congested traffic at busy commercial airports by taking advantage of general aviation airports focused primarily on private flights and executive travelers. Clients using our Detroit air charter service can arrive at any of the following local airports. Not only do these airports allow you to land closer to your destination, but you may be able to save on your jet charter cost as well. Air Charter Advisors has access to the following private aircraft. Each of the planes we use are Wyvern-certified for charter flights, and we can provide a wide variety of options based on your goals and your budget, whether you’re looking for a cost-effective charter flight, or the most luxurious private jet available. Check out our Aircraft Gallery for more details on all of the planes available for your flight. 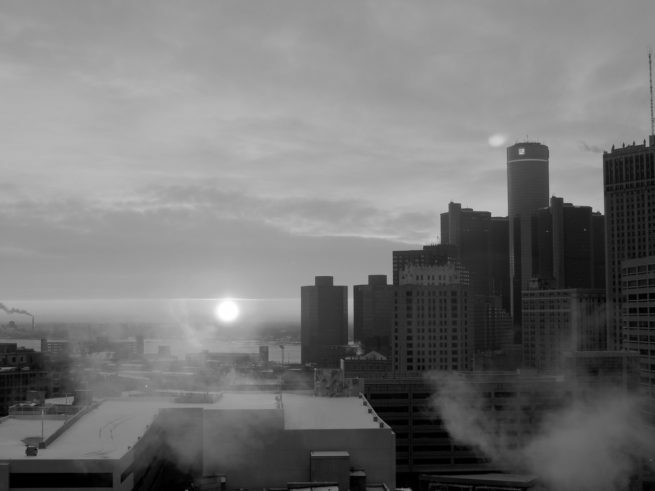 Several major corporations are based in Detroit, including three Fortune 500 companies. Automotive manufacturing, finance, technology, and health care are the city’s main industries, and despite its economic struggles of recent years, developers continue new projects in downtown and midtown. 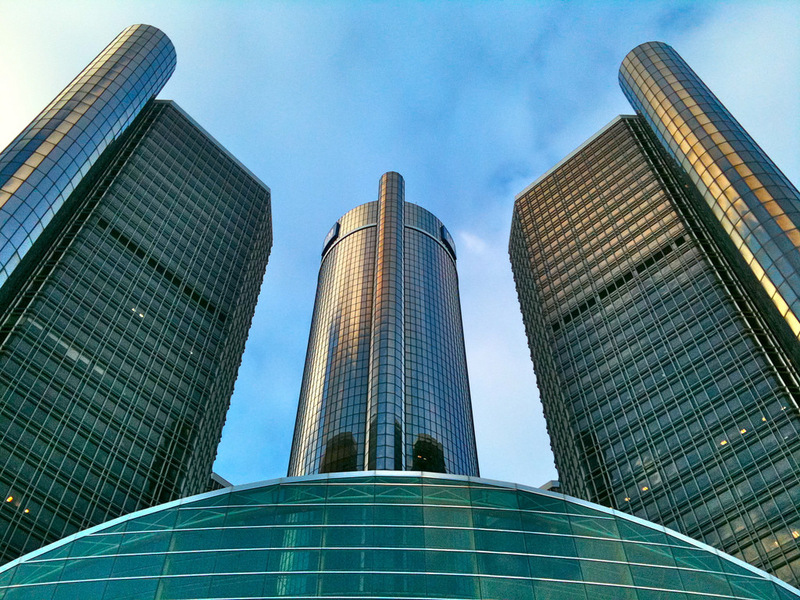 The Renaissance Center, a collection of seven interconnected skyscrapers, is the centerpiece of Detroit, and home to the global headquarters for General Motors. If you’re an executive flying private to Detroit, our private jet charter brokers have access to thousands of a sleek, efficient business aircraft based around the world, and our team has years of experience working with heads of state, celebrities, and top business executives. Heavy jets such as a Gulfstream V/G500/G550 or a Global Express/XRS are perfect for flights to business meetings across the country, arriving at destinations such as New York and Chicago in just under 2 hours, and Los Angeles and Seattle in 5-6 hours. Charter Rates for long-range jets typically start between $6,500 – $9,000 hour, and can vary based on flight routing, scheduling, aircraft model and other variables. If you’re flying within Michigan or to a nearby by state, you can charter an efficient mid-size jet like a Learjet 60 and Citation Excel, ideal for arrivals/departures at business jet hubs such as (KDTW) Detroit Metropolitan Airport. Give us a call to speak with our aviation team and discuss your goals for your upcoming executive charter flight to Detroit, Michigan. Whether you need to attend a meeting or you want to look South and see Canada, chartering a private flight to Detroit is the best way to do it. From urban skyscrapers full of business professionals to lavish cocktail bars and scenic nature parks, this city caters to the thousands of visitors that frequent it every day. With so much to do in this sprawling metropolis, it’s no wonder that so many private flights go in and out every day, and a private charter jet is the best way to visit Detroit. 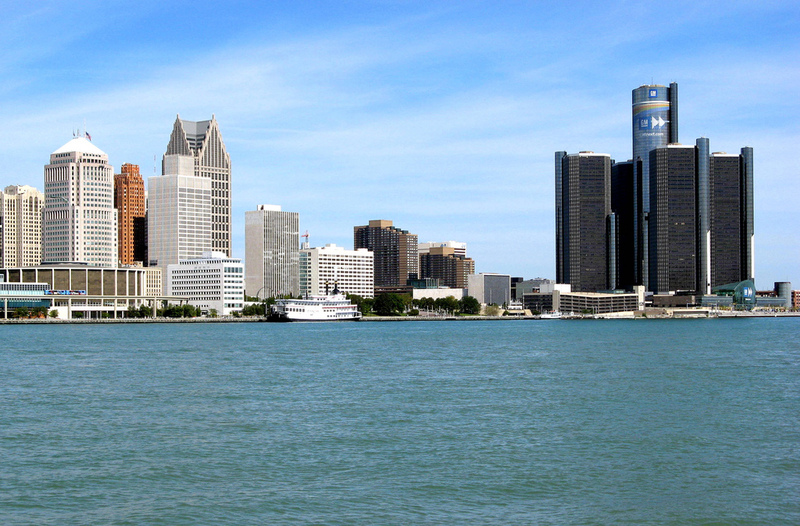 Founded back in 1701 by a French explorer, Detroit, or “the straight”, is now the most populous city in Michigan. Though not famous for its amicable populous or its high safety standards, it’s still ripe for development after the automobile industry left it dry. It has a bad reputation for its rougher areas and high violence rates, but news sensationalism is to blame for much of this stigma. Young people are moving in and gentrifying the whole area, using it as a blank canvas for what’s set to be a beautiful work of human optimism and ingenuity. From the progressive institute of arts and Motown Museum to the historic Guardian Building and the Detroit Riverfront, natural beauty and academic establishments pervade this second-chance metropolis. That doesn’t mean that you can’t have a good time once the sun goes down, too. The futuristic V Nightclub entertains thousands of dance music enthusiasts every year while locally popular bar Centaur dishes out reasonably priced martinis with impeccable and friendly service. The downtown district boasts several casinos and live music venues that draw huge crowds every night. Whether you want to spend a day touring the city, or you want to treat some clients to cocktails after a meeting, you’ll have plenty of options in this eclectic city. Some of the best music venues are located within walking distance from each other. Many locals will point you towards Cliff Bell’s jazz club for a relaxed and sophisticated evening of world-class music, and gourmet dining. Their inventive and ever-changing menu will make your night, while their world class jazz musicians will make your trip. If you’re still curious about what to do after your private chartered flight lands, keep reading. 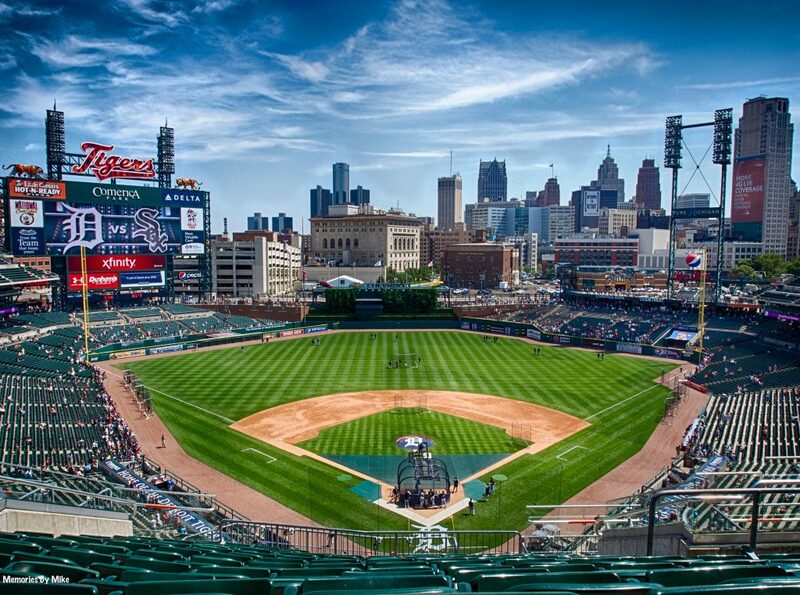 Detroit Jet Charter has created a list of the best attractions in the area to help you decide. General Motors’ riverfront headquarters is home to shopping, dining & a 73-story hotel, and a concept car showroom. This gorgeous swath of planned forestry is extremely popular among local joggers, bikers, and families. Book a private jet to Detroit and put yourself in the thick of the transportation and steel industries, in an urban environment that persists despite economic hardship, and a city that is inviting young people and innovation every day. With all of these new visitors, the city is working to accommodate them with luxury hotels, casinos, and other lavish lodging options. For instance, take the MGM Grand, a full casino hotel equipped with a full service spa and more amenities than you shake a stick at. There’s entertainment every night that includes live music, a full service lounge, and an in-house nightclub that will make sure you’re anything but bored. If the casino scene doesn’t get you going, then there are plenty of classic luxury hotel options that are perfect for the more relaxation-minded private jet travelers. The Henry Autograph Collection caters to discerning travelers on business or vacation in the area. An indoor swimming pool, hot tub spa, and massage room are only some of the amenities offered, while there are a variety of suites to accommodate you no matter how many people you have with you. If you’re chartering a jet for a corporate trip, the Detroit Marriott at Renaissance Center is home to the tallest hotel-only skyscraper in the Western Hemisphere; the Marriott recently finished a $30 million renovation, complete with business-friendly amenities, 100,000 square-feet of flexible meeting rooms, and the rooftop restaurant Coach Insignia. The following list of our top choices was created based on factors such as Detroit Jet Charter passenger feedback, location, amenities and online reviews. Once you arrive in Michigan via luxury private jet, our jet charter service brokers can also arrange ground transportation to/from the hotel of your choice. Air Charter Advisors utilizes the following airports to fly clients privately to/from Detroit, Michigan and neighboring areas. Airports charge different fees for handling, and you may be able to save on your jet charter cost by using a regional airport. Arrange for your private jet to arrive at Coleman A. Young International Airport (IATA: DET, ICAO: KDET, FAA LID: DET) Airport, a public airport formerly known as Detroit City Airport. It’s location just 5 miles east from downtown Detroit make it a popular choice for business jets heading to the area, and U.S. Customs is available, mainly serving private and cargo airplanes. (DET) Coleman A. Young International Airport features two asphalt runways (15/33: 5,090 feet | 7/25: 4,025 feet) to handle turbo-props and mid-size business jets, and AvFlight operates the only FBO at the airport, offering a wide range of aviation services including as refueling, ground handling, aircraft parking and hangaring. Located 13 miles from downtown Detroit in the southeast corner of Windsor, Ontario, the Windsor International Airport (IATA: YQG, ICAO: CYQG) allows clients chartering a flight to the Detroit area to arrive or remain in Canada. It’s one of the more popular points of entry into Canada for private and business jets, and it’s airspace is congested due to its proximity to (DTW) Detroit Metropolitan Airport. The airport’s facilities include the Great Lakes Flight Centre FBO, and two asphalt runways (07/25: 9,000 feet; 12/30: 5,150 feet) to accommodate any aircraft model and size, including VIP airliners for large parties. If you’re flying a large corporate party or a sports team to (YQG) Windsor International, please note that Canada Border Services Agency (CBSA) officers are on-site to handle flights with up to 325 passengers, and can accommodate up to 450 passengers if the aircraft is unloaded in stages. Charter a private jet and fly to Michigan’s busiest airport, and one of the largest aircraft hubs in the United States. 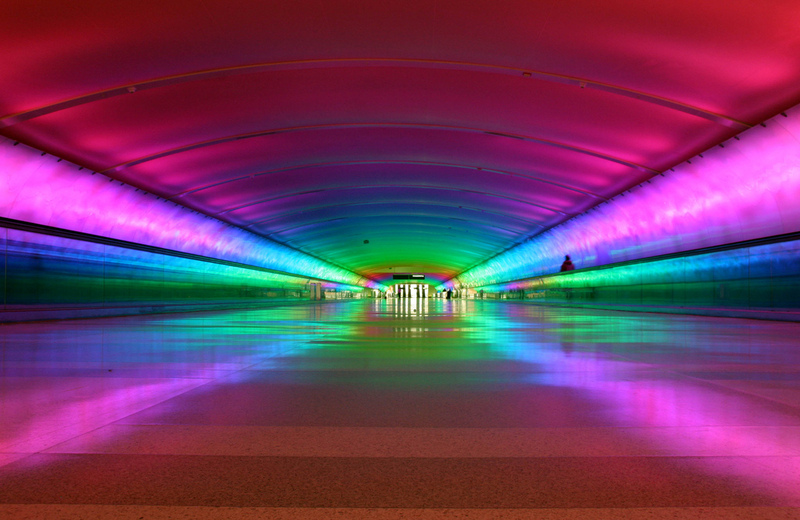 Commonly referred to as Metro Airport or simply DTW, Detroit Metropolitan Wayne County Airport (IATA: DTW, ICAO: KDTW) is a major international airport located in the suburn of Romulus, 22 miles southeast of downtown Detroit. It’s one of the most important hubs in commercial aviation, serving over 140 destinations and as the home to major airline operations by Delta, Spirit and SkyTeam. Signature Flight Support and Aircraft Service International Group (ASIG) operate the two FBOs servicing general aviation, and (DWT) Metro Airport was named #1 in overall customer satisfaction nationwide among large airports in 2009 and 2010 by J.D. Power and Associates. Request a Quote or give us a call at 1-888-987-5387 to speak with one of our Detroit Private Jet Charter agents for your next luxury vacation, business trip, or special event. Our representatives are available for you by phone and email 24 hours a day, 7 days a week. Request a quote or call us to arrange your private flight to Detroit, Michigan.